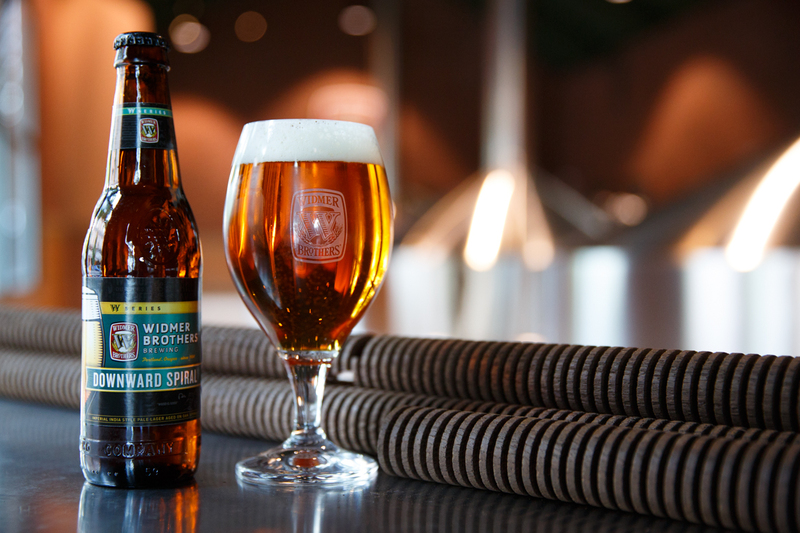 After using them [Infusion Spiral products] for the first time on a commercial scale, we were awarded a gold medal at the 2009 GABF for wood and barrel aged beer. The patented design of the Infusion Spiral system is benefitting today's brewmaster, too. 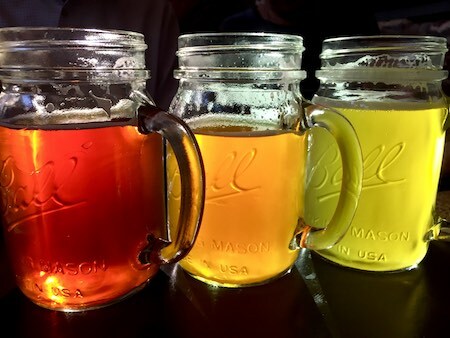 Used most often after secondary fermentation, and occasionally during fermentation, the Infusion Spiral system adds color, flavor, texture and aroma to beer. The reason? Our premium quality woods are toasted with precise, convection oven heating. Together, they create a truly unique brew for you, without the mess of chips but with just as much speed. What's more, we even have experimented with some exotic woods and have hit upon a real winner with Spanish Cedar. Exotic woods (non-oak) usually have limited availability, so check with our main office on current stock of Spanish Cedar and other new materials. And speaking of experimenting, we know some beer makers having great success at soaking Infusion Spiral systems in Bourbon for a week or two before inserting into the conditioning tank. With or without Bourbon, our most popular Infusion Spiral product for brewing has been supplied in American oak, in either Medium Toast or Heavy Toast. Aging beer with Infusion Spiral systems is faster than using used Boubon barrels, costs less and takes less space. The amount of time needed for your beer to benefit from treatment with the Infusion Spiral system depends on the style and alcohol content of your beer. Bigger stouts require about four weeks contact time, whereas lighter-colored brews need only 10 to 14 days. If you are making an IPA or any beer demanding bright, forward hop character, wood aging inside stainless steel tanks is superior. Barrel aging will allow air ingress and degrade hop character in a short period of time. Tank wood aging maintains hop character until wood character reaches desired level. Below are dosage ranges for different types of wood. Non-oak woods have limited availability. Check with main office for lead times. Infusion Spiral products may be re-used in separate batches, but only if the batches are brewed back-to-back. The coil will extract 50% slower on the second use, and it will be fully extracted after 6 weeks. For two equal batches, it's recommended to extract for 2.5 weeks on the first batch and 3.5 weeks on the second use. Static Wood Soaking: Infusion Spiral products are placed into stainless tank holding beer. Slow extraction requires increased time for wood and beer contact. Recirculating System Soaking: The recirculation system approach to wood soaking uses an external tank that holds the wood, keeping it separate from the fermenter or bright tank, containing the beer. The beer is pumped with a flexible impeller pump and variable frequency drive to control the flow rate through the external (wood) tank and then back into the holding tank. This drastically decreases wood extraction time. It also can reduce the volume of wood needed in the process. It is a much safer way to wood age beer, keeping people out of the tank, where they could be susceptible to CO2 and chemicals. Try Our Exotic Wood Sample Pack, Free! 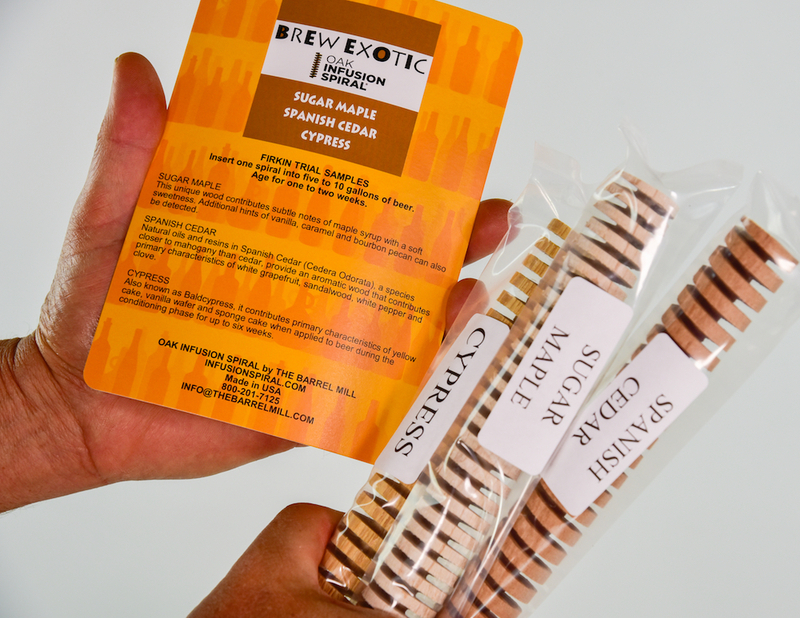 Send us the name and address of your brewery or cidery, contact name and email and phone number to receive a free trial sample pack of Infusion Spiral 3-inch segments, one each in Spanish Cedar, Cypress and Sugar Maple. Send email to Len@thebarrelmill.com.